The first thing I have to say about Follow me is I couldn’t connect with one of the main characters, I found it difficult to find any traits in Freddie that could make me like her, She’s brash, opinionated and towards the end of the story she just irritated the hell out of me! I also found it hard to believe that the police would just invite Freddie to join their task force to find the murderer, without any relevant checks! And what I found even more incredible was the fact the police allowed her not only visit crime scenes but investigate them to! Follow Me shows just how powerful Twitter and other social media sites can be, and how one Twitter message can start a frenzy. 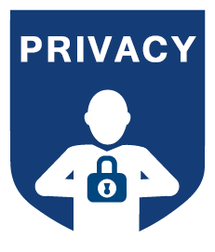 It also makes you think about your own virtual footprint when using social media, and how much personal information “we put out there”, without really thinking about the number of people who maybe reading it. Also it makes you think “do you really know the people you interact with on social media?”…..Who knows one of them might just be the next hashtag murderer! I thought the way Angela used Twitter to build up the tension to the story was very clever. 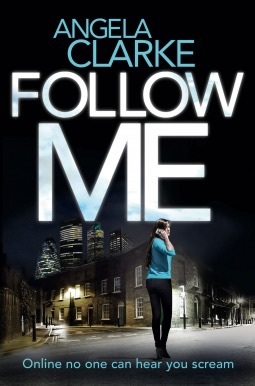 Despite my moan about the characters I did enjoy Follow me, it has all the components needed for a good crime thriller, suspense, intrigue and a well thought out plot. It certainly kept me reading late into the night and as the final chapters loomed, I couldn’t turn the pages fast enough. I will certainly look out For Angela’s next offering, I gave Follow 4 out of 5 because even at the end of the book, Freddie still grated on me! This entry was posted in Angela Clarke and tagged Crime Thriller, Psychological thriller on November 21, 2015 by lollyrugs.